A prolonged process of falling asleep, frequent awakenings result in a bad mood and drowsiness throughout the day. People are forced to resort to sleeping drugs to sleep. The pharmaceutical industry produces various drugs against insomnia. Some of them not only normalize sleep, but have many side effects that harm the body - addiction, impaired attention, severe psychoemotional disorders. Therefore, with the symptoms of insomnia, do not rush into the drugstore for sleeping pills. Consult with a specialist who will help you choose a medicine that promotes normal sleep in each specific situation. The fight against insomnia will be effective if you establish the reasons for its appearance and choose the right therapy. Medicines for insomnia differ in therapeutic activity, but work on the same principle - inhibit the activity of the brain, relieve nervous and muscle tension. The duration of action depends on the rate of their withdrawal and the degree of influence on the functions of the central nervous system. Sleeping pills short-acting eliminate the difficulty of falling asleep, do not disturb the duration and relationship of the phases of sleep. Means of medium duration of action relieve agitation and intensify inhibition. The effect lasts longer, which improves sleep and sleep quality. Long-acting drugs help with poor sleep, shallow sleep, frequent nocturnal awakenings. All hypnotic drugs differ in chemical composition and have different effects on the central nervous system. Barbiturates (Phenobarbital, Reladorm) are effective in severe insomnia, but cause drowsiness, lethargy, irritation after sleep, headache and muscle pain. With prolonged use, mental and physical dependence develops. Barbiturates shorten cycles of fast sleep, which are important for restoring the nervous system. Derivatives of barbituric acid are released only on prescription. Means against insomnia from the group of tranquilizers (Phenazepam, Nitrazepam, Sibazon, Midazolam) are low in toxicity, do not give distinct effects of aftereffect, they are less addictive. Especially effective for insomnia, caused by anxiety, emotional stress. Preparations for insomnia containing melatonin (Melaxen, Circadian, Melaren), do not break the physiological structure of sleep, speed up sleep, reduce the number of nocturnal awakenings. In the mornings do not cause a feeling of fatigue and drowsiness, positively affect the emotional sphere. Medicines for the insomnia of group Z have virtually no side effects, do not cause post-somnolent disorders. After awakening a person does not feel any discomfort. Drugs differ in the duration of the action. At difficulties with falling asleep appoint Adante. Iwadal, Zolpidem works 5-6 hours. Soporific long-acting Zopiclone maintains sleep throughout the night without changing its structure. In patients with nocturnal manifestations of bronchial asthma, the duration of seizures decreases. After prolonged use of Z group preparations, habituation may occur. Antihistamines of the first generation (Dimedrol, Diprazin) have a mild sedative effect, are quickly removed from the gastrointestinal tract. The doctor should choose the medicine for insomnia treatment. Uncontrolled use of hypnotics can form a dependence, increase excitability instead of the expected hypnotic effect, cause muscle weakness, withdrawal symptoms, disrupt attention and memory. Depending on the composition of the drugs are divided into three groups. Substances contained in plants normalize sleep, improve mood, strengthen the psyche, relieve anxiety, soothe the nervous system. Herbal preparations against insomnia are not toxic, they act gently, can be taken for a long time, have a minimum amount of contraindications. Means of plant origin are effective in light violations of the physiological process, for the prevention of insomnia with stress of a different nature. With severe insomnia apply only as an additional therapy. Medicines contribute to improving sleep, suitable for all age groups, do not affect psychomotor functions, have small side effects. Means contain plant extracts and active medicinal components. All substances enhance each other's actions. Due to this, a quick hypnotic effect is achieved. Medicines of this group are shown at insignificant disturbances of a dream and neurotic frustration, remove irritability and facilitate falling asleep. Harmless, non-addictive drugs contain a balanced set of ingredients that eliminate fear, anxiety, trouble falling asleep. Homeopathy does not disrupt biochemical processes in the body, direct reserve forces to combat the causes of insomnia, are not accompanied by symptoms of aftereffect. For a persistent and long-lasting effect, long-term use of homeopathic remedies is recommended. Without a doctor's prescription, you can buy medications that moderately affect the nervous system. They normalize sleep, heart rhythm, reduce nervous excitement. An effective remedy for insomnia does not necessarily have to be potent. With the right selection, even a light sleeping pill will give a positive result. List of the most sought after insomnia drugs. The synthesized analogue of the hormone of the pineal gland (melatonin) is suitable for independent use in insomnia in people of different age groups. Tablets normalize the rhythms of sleep and wakefulness, facilitate falling asleep, do not cause feelings of lethargy when awakened. The drug helps the body to adapt when working at night and when changing time zones (jetlag). In rare cases, there are swelling, headache, nausea. Melaxen is used to normalize the biological rhythm, promotes rapid falling asleep and a light morning awakening. Removes irritability, anxiety, eliminates depression, promotes concentration of attention. The composition of a sedative for insomnia includes extracts of lemon balm, mint and roots of valerian. The components make it easier to fall asleep by increasing the inhibitory processes in the central nervous system. Persen recommended for prolonged sleep and frequent awakenings, caused by stressful situations, violation of the regime, overwork. Effervescent tablets have a pronounced sedative effect, allow you to quickly fall asleep, increase the duration of night rest. May cause severe palpitation, daytime drowsiness, dry mouth. Donormil does not affect the activity of the brain. The sublingual tablets reduce the excitation of the central nervous system, improve metabolism in brain tissues, increase mental performance, normalize sleep. Glycine is recommended for people with emotional instability, high excitability. Due to the content of phenobarbital reduces excitation of the central nervous system. 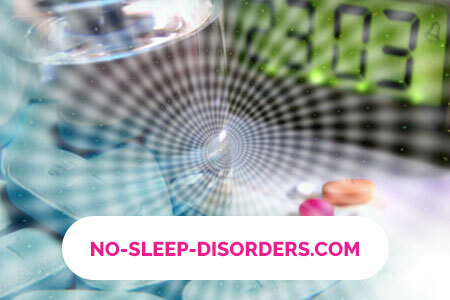 Drops from insomnia provide a soft hypnotic effect, are prescribed for disturbed sleep, neurosis-like conditions, disorders of cerebral circulation. With prolonged admission, there may be drug dependence, depression. It removes the state of anxiety, psychomotor agitation, relaxes smooth muscles, increases the duration and depth of sleep. At the beginning of treatment, drowsiness and general weakness may occur. Positively affects the activity of the brain, reduces the severity of complications after traumatic brain injuries, increases the resistance of the brain to high loads. Phenibut removes the feeling of anxiety, reduces emotional tension, improves the quality of night rest. It is prescribed for insomnia of a neurotic origin of nature. Has a sedative effect, relieves spasms in the intestines, dilates blood vessels, makes it easier to fall asleep. Well tolerated, but with prolonged use or overdose causes CNS depression. Experts recommend drinking drops with irritability and mild insomnia. A plant remedy with a sedative effect is used for nervous excitability, difficulties with falling asleep, caused by overexcitation, stress. In rare cases provokes a depressed state. Preparations of the new generation help to cope with stress, improve the quality of sleep, eliminate the causes of insomnia. They are quickly removed from the body, so there are no symptoms of aftereffects in the morning. New remedies for insomnia are safer, since they only affect the brain receptors responsible for sleep. The composition of the drops include natural components of plant origin, which quickly enter the bloodstream and improve the psychoemotional state. Remedy for insomnia Sonilux normalizes sleep and eliminates the causes of its violation, restores the heart rhythm and the endocrine system. The effect of the drug is aimed at improving the quality and duration of night rest. With prolonged treatment, the risk of dependence is not excluded. 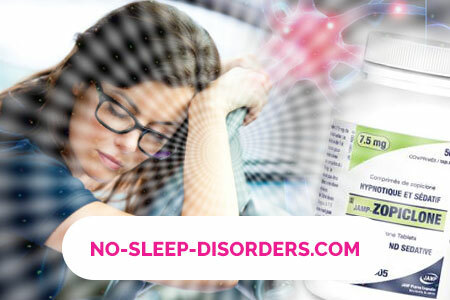 It is prescribed to patients with situational, transient, chronic forms of insomnia. Recommended for insomnia associated with prolonged sleep, contributes to a sound sleep. The medicine for insomnia Roseme does not cause side effects and addictions. It is prescribed for difficulty falling asleep, frequent awakenings, transient stance and chronic insomnia. The drug does not change the ratio of fast and slow sleep. Does not affect the daily well-being and performance. When a person falls into a stressful situation, the need for Vitamin B is repeatedly increased. Deficiency occurs with gastritis, the intake of certain hormonal drugs, pregnancy, physical stress, and malnutrition. Provoke insomnia may lack serotonin, the synthesis of which involved pyridoxine (B6). There is fatigue, drowsiness, depression, irritability, problems with sleep. To get rid of insomnia vitamins of group B, A, E and microelements of potassium, magnesium, calcium will help. Yantifan, which includes L-tryptophan, succinic acid, vitamin B6. Vitamin preparations reduce the excitability of the nervous system, promote a full night rest. A lot of drugs and vitamins are confusing: "How to choose the best remedy for insomnia from the whole variety?" For answers, contact specialists in the district clinics or specialized centers. Uncontrolled use of hypnotics can complicate the situation. In somnologicheskom department will prompt how to get rid of insomnia without drugs through massage, relaxation, self-hypnosis. In special clinics they use nonmedical methods of eliminating insomnia (electrosleep, relaxation therapy).